When you drive a luxury automobile, it is imperative that you take care of it properly, especially during the winter. The snow, sleet, salt, and cold weather will take their toll on it, otherwise. To that end, Kudos Import Auto Service & Performance, the leading luxury auto repair shop in St. Charles, MO, offers some valuable tips for import car maintenance during the winter months. This information should keep your car running well and looking its best. Have your fluids checked and topped off for winter, particularly the antifreeze and washer fluids. Also, make sure you use winter oil, which flows more easily in cold weather and better lubricates your engine. 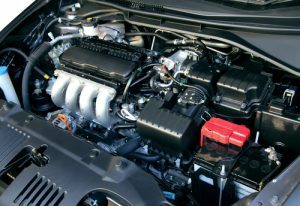 Schedule an inspection of the hoses through which the car’s fluids travel, as well as the clamps that hold them in place. If they appear frayed, loose, or worn, have them replaced. Fluid leaks can lead to expensive transmission or engine damage. Your battery can lose its charge in cold weather. Have it inspected this winter so you don’t find yourself stranded somewhere inconvenient in need of a jump start. Have the levels topped off with distilled water and have the terminals and cables cleaned of corrosion to ensure a quick start. 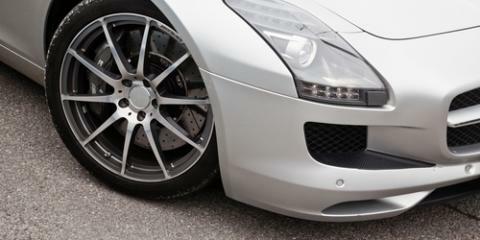 Another key component of import car maintenance is to replace your summer tires with models designed for winter driving. Winter tires have more—and deeper—treads to give you better handling on snow and ice. Additionally, they are made of softer rubber so they remain pliable in cold weather. Visibility becomes a real issue during winter when roads are slushy and ice collects on your windshield. For driving safety, replace last year’s wiper blades with a fresh set to ensure you can see the road clearly. To schedule luxury car maintenance or Lexus, Jaguar, or Mercedes repairs, contact the experts at Kudos Import Auto Service & Performance in St. Charles, MO. With a decade in business and a team of import car maintenance specialists on hand, they provide top quality results and unmatched customer service. Call (636) 448-7145 to schedule service or visit their website to view a map and business hours.